A winter night; a ghost walks along a platform before Elsinore Castle in Denmark. It’s the late king Hamlet and he’s just been murdered. If you’re like me, the last interaction you had with Shakespeare was in a high school literature class and your knowledge of the world’s most recognizable writer is limited. You may not even realize that he created over 1,700 words we use every day, or that you can visit one of the locations where one of his most famous plays took place; Hamlet. 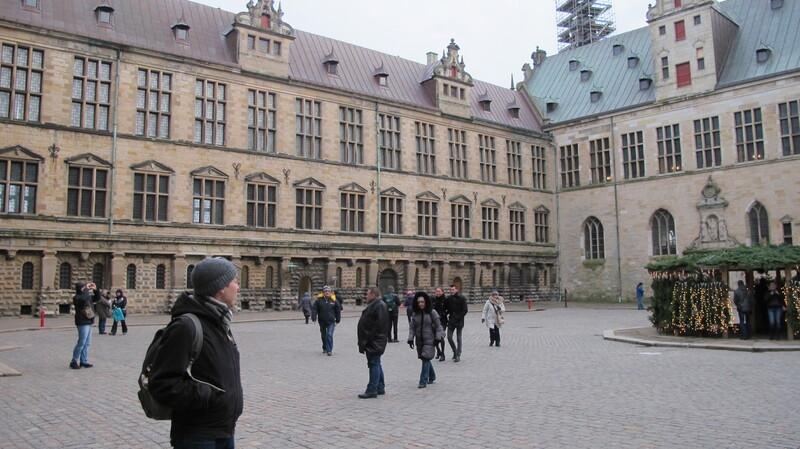 In reality, Shakespeare probably never traveled to Denmark…but Kronborg Castle is a VERY real renaissance castle and fortress, and a UNESCO world heritage site. Strategically located on a narrow island in the northeastern part of the country, this coastal fortress represented economic power and and influenced the future of Northern Europe. For several centuries, Denmark controlled the 2.5 mile stretch of water between Denmark and Sweden. This was a huge deal! Trade ships didn’t have a lot of options if they wanted to navigate through the Baltic Sea, and passing through the sound between the two countries was a necessity. The port would charge ships passing through for easy revenue, and could control who was coming in and with what. 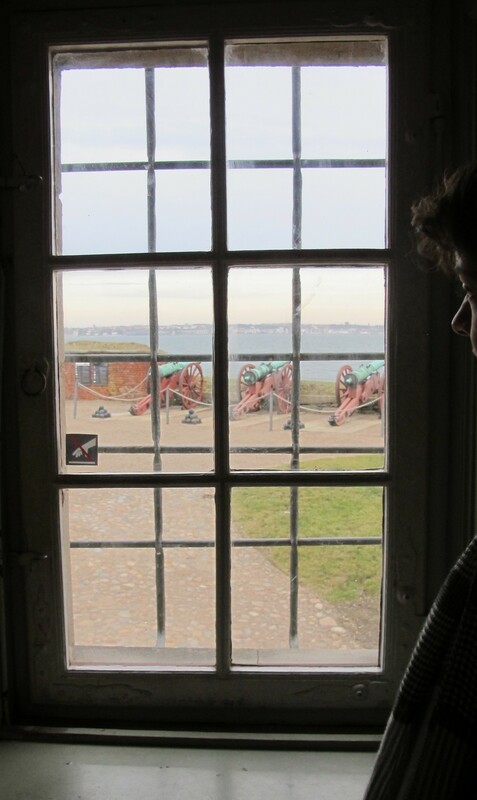 It’s an impressive bargaining chip for creating alliances with other countries, and Denmark used Kronborg Castle to its advantage. The four-winged castle was first built in 1420 and suffered a fire in 1629, but was reconstructed to almost exactly as it was before. 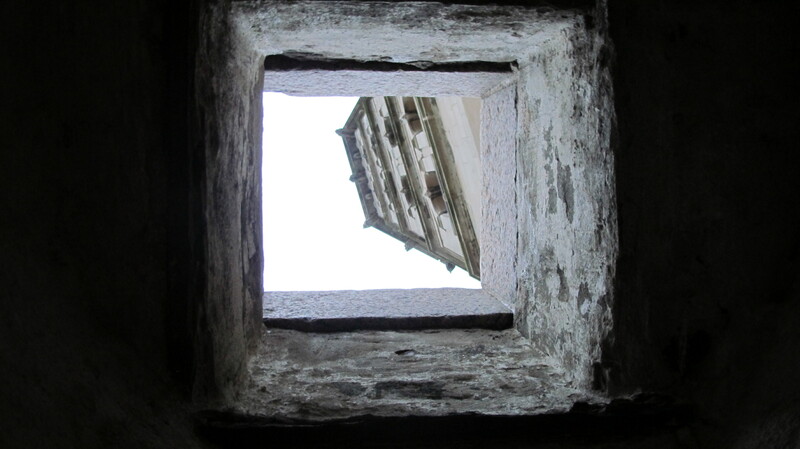 Then it was plundered by the Swedes in 1658, abandoned by the monarchy in 1785, and used by the military until 1982. Only the Chapel remains untouched, and has its original altar, gallery, carvings, and painted panels. 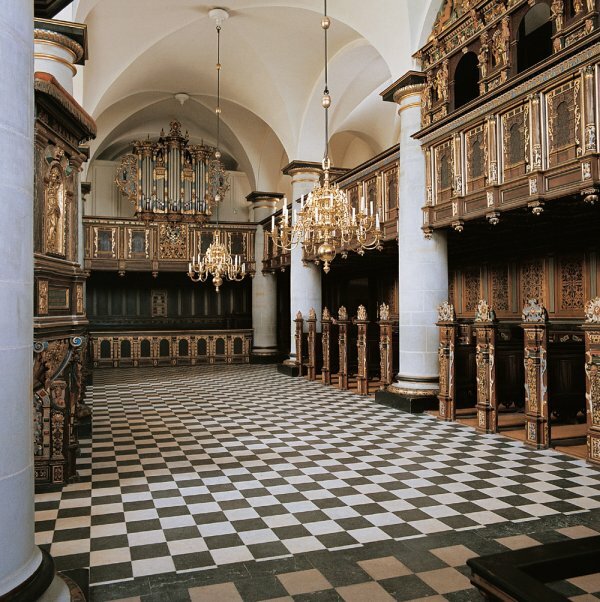 The rest of the interior doesn’t have as much “eye candy” and many of the rooms aren’t as elaborately furnished in comparison to other Danish castles, but it would be a great disservice to dismiss a visit. This castle’s function as a military defense and economic desintation is a reminder that Kings were rulers responsible for the growth and protection of their nation; war and debt was still a reality. Life wasn’t just about crazy banquets with extravagant hair. 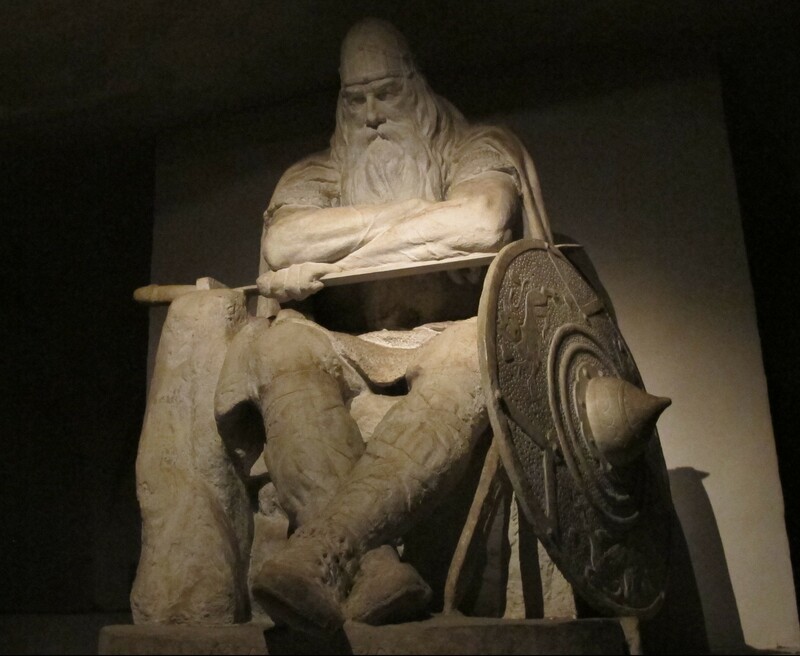 They had to actually you know…work…and Kronborg had A LOT going for it. The surviving Chapel. Not my photo. A huge courtyard in the center is an impressive setting where you can look up at the sandstone ornamentation, towers and spires; fierce bastions reach for the sky and symbolically intimidate anyone who dares challenge them. Hamlet readings are frequently held here, naturally. Some portraits. Most art found inside is from the 17th and 18th century. The interior boasts the largest banquet hall in Northern Europe and was begging for a twirl with my interpretation of a farandole or some other Tudor period dance. The room was used for theatrical performances and balls, and probably hundreds of Hamlet interpretations through time. When Shakespeare writes a play that’s set in your castle, you are probably going to want to make it a regular thing. 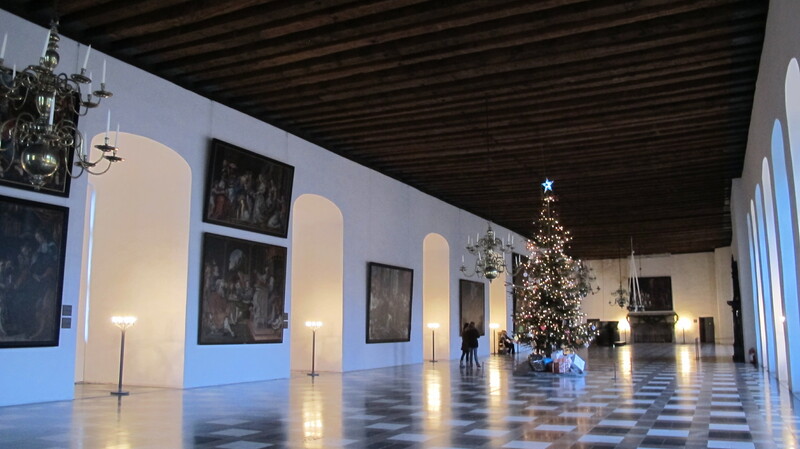 The Great Hall with a Christmas tree. Most art is from the 17th or 18th century, and only 14 original wall tapestries are left; half are at the National Museum in Copenhagen. There is also a large underground dungeon area where I think you can see the original 13th century foundations. Creepy and someplace I’d rather not linger in….man this place is huge. 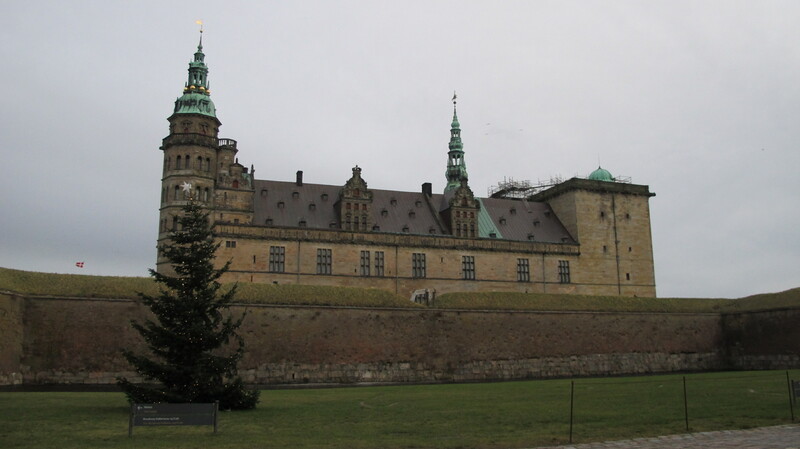 The beauty, brute strength, and historical role of Kronborg as a castle, military defense, and economic perk are a special relationship that lends for a unique history lesson and wider context in understanding its historical importance. Physical history doesn’t have to restrict itself to physical objects, musty antique furniture, or quiet rooms; it transcends into concepts that directly shape how we live today. Kronborg challenges you to think beyond a building’s purpose as shelter and to explore the wide spread impact it’s done for culture. Shakespeare may be a huge draw, but the rest of the story makes it even more important to conserve and appreciate its existence. It’s a UNESCO site for a reason! 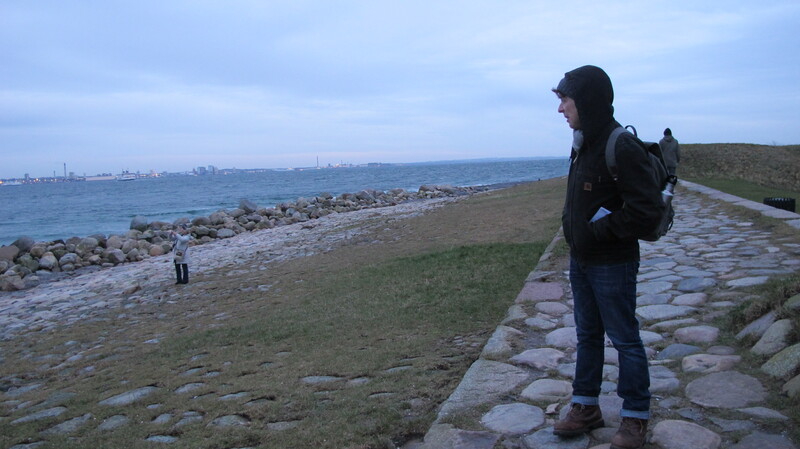 A fitting way to end my winter trip to this section of Scandinavia, and I look forward to returning. Maybe I’ll try warmer weather next time around so my photos aren’t so dreary! Do you know of any other historical landmarks that served many purposes? I think these are my new favorite! Wow this is really interesting! I love the photos. Thanks for sharing. 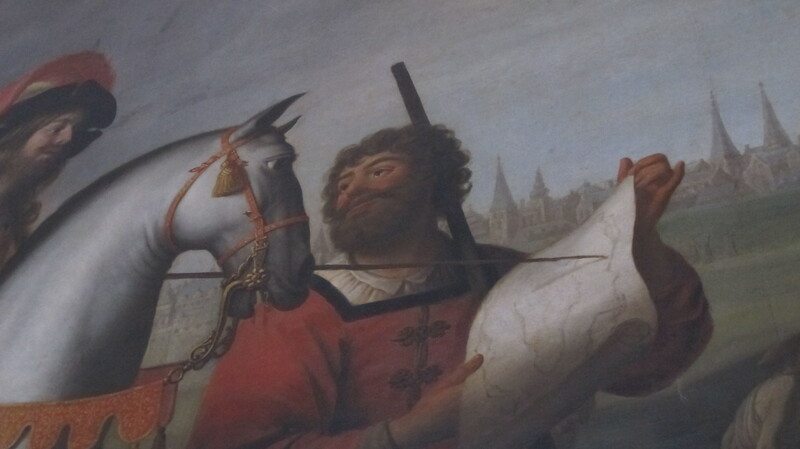 Also, that horse in the painting looks so confused! Hilarious.